“Let's face it: Professional development, as we have known it for years now, has yielded little or no positive effects on student learning.” Thus complain the many weary professionals who flinch at the mere mention of the word “workshop.” In the collective imagination, the term “professional development day” conjures only images of coffee breaks, consultants in elegant outfits, and schools barren of kids. Of course, professional development was never intended to trigger such pessimistic reactions. Even critics of the professional development movement admit that all forms of teacher development, whether effective or not, have at their core the noble intention of improving student learning. We might disagree with the implementation processes available, but not with their purpose. Indeed, when correctly implemented, they actually yield the results intended. In this era of high-stakes testing and increased accountability, it is necessary to reposition professional development so that the collective efforts of teachers, students, and administrators result in enhanced learning for all members of the teaching community. Top-down decision making. Traditionally, professional development arrangements are made by administrators and consultants rather than teachers. By muffling the teachers' voices and placing priority on administrative needs, these programs become a burden to professionals instead of a welcome solution to classroom problems. The idea that teachers need to be “fixed.” Too often, professional development is guided by the erroneous idea that if students don't learn, it's because their teachers don't know how to teach. Myriad approaches to teaching have surfaced over the past fifteen years or so, all claiming to be the ultimate solution for teaching problems. However, when we listen in awe at the stories of classroom teachers—stories of passion and commitment, strife and success, dedication and love—it's easy to wonder what kind of fixing these teachers might need. Lack of ownership of the professional development process and its results. Given that their voices are not generally heeded during professional development, teachers rightly question their investment in programs that were built behind their backs yet are aimed at changing the way they do things. The technocratic nature of professional development content. More often than not, teachers in professional development programs are taught techniques that they are expected to replicate in the classroom. Most of these methods, however effective, are standardized for communication purposes and serve the needs of teachers and learners in specific contexts. In attempting to transfer these practices into their classrooms, teachers need to invest considerably more effort than the professional development planners originally anticipated. Universal application of classroom practices regardless of subject, student age, or level of cognitive development. It is not uncommon to hear of school districts that run the same professional development programs for all grade levels. While certain teaching practices and learning principles might be suitable across the board, a one-size-fits-all approach, though economical, has been proven totally ineffective. Lack of variety in the delivery modes of professional development. Once a decision is made to invest in professional development, the cheapest format is often chosen for the purpose—usually a lecture, workshop, or seminar. It is ironic that so much has been written about the importance of differentiated instruction in the classroom; when it comes to instruction for teachers, undifferentiated approaches usually prevail. Inaccessibility of professional development opportunities. Professional development opportunities seldom reach teachers when they are really needed. When teachers do not help plan and deliver professional development programs, their needs can go unmet. This may help explain why only a small percentage of teachers seems able to transfer the content covered in a workshop to the classrooms. Little or no support in transferring professional development ideas to the classroom. Transferring new ideas to the classroom is perhaps one of the most difficult tasks a teacher faces. A lot of effort is put into helping preservice teachers bridge the gap between theory and practice; we may wonder why the same support systems are not available to in-service teachers as well. Standardized approaches to professional development that disregard the varied needs and experiences of teachers. Researchers have pointed out that teachers go through certain developmental stages as they progress in their careers, each of which triggers specific needs and crises that they must address (Fessler & Christensen, 1992; Furlong & Maynard, 1995; Huberman, 1989). The standardized nature of traditional professional development programs assumes that all teachers should perform at the same level, regardless of their particular experience and needs. Lack of systematic evaluation of professional development. Given the complex nature of teacher competence, assessing development often seems impossible. As a result, many professional development programs are not evaluated, nor are their results communicated to other communities. Teachers would be right to take offense at this. A learning organization should yield knowledge that enriches not only the immediate community, but the profession as a whole. It is a disservice to the teaching community when we fail to probe the effectiveness of established programs and overlook their results. Little or no acknowledgment of the learning characteristics of teachers among professional development planners. Most professional development models for teachers ignore the fact that teachers possess unique learning characteristics that must be accounted for if the programs are to be successful. Though the characteristics of adult learners have been the focus of research for over a century now (Brookfield, 1986; Vella, 1994), they are too often overlooked. My vision of professional development is grounded in faith in teachers, the institutions they work for, and the power of the broader community of educators around the country and the globe. Effective professional development should be understood as a job-embedded commitment that teachers make in order to further the purposes of the profession while addressing their own particular needs. It should follow the principles that guide the learning practices of experienced adults, in teaching communities that foster cooperation and shared expertise. Teacher success stories are living theories of educational quality and should be shared with the wider educational community for the benefit of all involved. Figure 1.1 summarizes my vision of professional development in contrast to more traditional practices. Professional development can be defined as a career-long process in which educators fine-tune their teaching to meet student needs. As such, it directly tackles teachers' teaching styles—the patterns of decisions teachers make when mediating their students' learning. Butler (1984) defines learning styles as “a set of attitudes and actions that open a formal and informal world of learning to students. It is a subtle force that influences a student's access to learning and teaching by establishing perimeters around acceptable learning procedures, processes, and products” (pp. 51–52). But just as learners learn according to a particular style, so do teachers exhibit particular teaching styles. Most researchers agree that teaching styles operate along a continuum that ranges from teacher-centered to student-centered. In characterizing these styles, researchers tend to focus on such criteria as control over time and procedures, student involvement, and materials used in class. The issue of teaching styles is far more complex than it appears at first. First of all, it is necessary to acknowledge that the term itself refers to the way teachers perform in the classroom—that is, to teacher behavior. These behaviors are contingent on a multitude of factors that affect how teachers go about their daily chores. As Figure 1.2 shows, teaching styles are the result of interacting personal, professional, knowledge, career, institutional, and curriculum factors. Phase 1: Exploration and stabilization. Teachers develop strategies to cope with day-to-day tasks. There is little or no focus on student learning during this phase, as the teachers are primarily concerned with following rules and plans. Crisis: Learning to perceive the messages that the teaching and learning environments send. Phase 2: Commitment. Teachers take bold steps towards focusing on student learning, developing a repertoire of coping techniques and trying out new ideas. Crisis: Learning how best to cater to all students. Phase 3: Diversification. Teachers begin to question their effectiveness when some of their students fail to learn. Most teachers leave the profession at this stage. Crisis: Many need to solve a professional identity crisis. Phase 4: Serenity or distancing. Teachers resolve the identity crisis in Phase 3 by either confirming their commitment to classroom teaching or by moving into administration or teacher education or by leaving the profession altogether. Crisis: If teachers are able to realize their aspirations, they tend to enter a phase of serenity; otherwise, they remain stable but stagnant. Phase 5: Conservatism and regret. Teachers retire. Crisis: For some, regret over the past; for others, refusal to accept that there are other ways to teach besides one's own. Epistemological. The nature and purpose of knowledge. Sociological. The role of schooling in relation to students, their families, and communities. Didactic. Practices most likely to result in desired learning outcomes. All teachers are by definition curriculum developers in that they select, sequence, organize, plan, deliver, and evaluate their students' learning experiences. This process can either inhibit the full expression of teacher learning styles or make them more autonomous. For example, a curriculum focused strongly on high-stakes testing may prompt a teacher to teach to the test at the expense of other important “formational tasks” (Freire, 1998), inhibiting the teacher's style by turning her into a mere deliverer of contents. A curriculum that advocates a dialogic perspective, on the other hand, allows both teacher and student to enter a cycle of action and reflection in which both will grow. In this latter context, the teacher's learning style is open to interaction and the exercise of greater freedom. Sergiovanni and Starratt (2002) define school climate as “the enduring characteristics that describe the psychological character of a particular school, distinguish it from other schools, and influence the behavior of teachers and students, and as the psychological ‘feel’ that teachers and students have for that school” (p. 82). These “enduring characteristics” include goal focus, communication adequacy, optimal power equalization, resource utilization, cohesiveness, morale, innovativeness, autonomy, adaptation, and problem-solving adequacy. How these characteristics operate within a school determines whether its climate is open (supports learning) or closed (hinders learning). According to Peterson (2002), school culture is “the set of norms, values, and beliefs, rituals and ceremonies, symbols, and stories that make up the ‘persona’ of the school. These unwritten expectations build up over time as teachers, administrators, parents, and students work together, solve problems, deal with challenges and, at times, cope with failures.” School culture is responsible for the way members of a school regard themselves, their relationships with one another, and the institution and its goals. The influence of school cultures on teaching styles cannot be overstated; as with curriculum, they can either hinder or improve teaching. Closely linked to the influences of school culture and climate on teaching style is the issue of professionalism. Barker, Kagen, Klemp, Roderick, and Takenaga-Taga (1997) define a true teaching professional as “a teacher who is engaged with a career path that encourages, fosters, and rewards constant professional growth that reflects directly and positively back on classroom practice.” This engagement depends upon the teacher's professional identity: the way he or she relates to the norms and values of the profession. Sachs (1999) claims that such a view treats professionalism as “an exclusive rather than an inclusive ideal, and is conservative rather than radical”—thus reducing professional development to the mere acquisition of traits that allow teachers to claim membership in the profession. Because teacher learning stems from reflective involvement with other learners, be they students or fellow teachers, it seems to make more sense for a concept of professionalism to reflect “cooperative action between teachers and other stakeholders” (Sachs, 1999). Teaching styles are greatly influenced by the teachers' own idealization of themselves as teaching professionals. Those who equate professionalism with adherence to external norms will tend toward relatively directive and ethnocentric teaching styles; on the other hand, those who perceive themselves as existing in a dialectical relationship with other professionals, working collectively to build their professional identities, will necessarily have more constructivist styles. Three learning factors greatly influence teaching styles: the teachers' learning styles, their experience as learners, and the theories about teaching and learning to which they adhere (Díaz-Maggioli, 1996). When making decisions, teachers should ideally have the students as their main focus. Too often, however, they teach according to their own preferred learning methods, rather than according to what is best for the students. Similarly, teachers tend to emulate the teachers who helped them to learn best when they were in school—though in most cases they don't know why the model teachers taught the way they did. Teachers need to be aware of these personal influences and refocus their actions to benefit the students. To do this, they need space to develop their own theories about teaching and learning through professional development with col leagues. Teachers are talented and devoted individuals who have gained enormous experience by interacting with students, and possess a wealth of knowledge that must be explored and shared. Teachers differ from one another in terms of their theoretical and professional knowledge and the stages they are at in their careers. This diversity offers a wealth of resources and experience. Teachers fulfill different functions in their jobs. They are not only mediators of student learning, but also administrators of student information, counselors on learning, and resources for parents and the broader community. Their professional development should be embedded in their daily schedule; they should not be expected to devote their own free time to programs that are divorced from the context in which they work. In order for teachers to develop ownership of professional development, they need to be active participants in its construction, tailoring programs to their needs and motivations. Professional development should not be regarded as an administrative duty, but rather as a career-long endeavor aimed at disclosing the factors that contribute to the success of all students and teachers. Mandatory professional development offered only when it is convenient to administrators has little to offer to teachers. Professional development will only have an effect on student learning if it involves the entire school community. Knowledge about teaching and learning only makes sense when considered in the context of a teacher's own school culture and climate. The effect of professional development is not measured by the sum of the discrete actions of individual factors and stakeholders, but through an examination of how factors and stakeholders interact with one another. In order to ensure that professional development is congruent with these facts, educators need an organizational framework based on the unique characteristics and contributions of teachers. The Teacher's Choice Framework (see Figure 1.3) helps teachers make individual and collaborative decisions by having them reflect on practice. For the framework to function effectively, learning communities should promote collaborative reflection on student learning data, which should be gathered and shared across grades and disciplines. Once the data are shared, educators should involve as many stakeholders as possible in planning a professional development program that addresses the needs of all participants. Technical awareness. Reflection on particular classroom procedures or teaching methods. Personal awareness. Reflection on how classroom activity relates to life outside of work. Problematic awareness. Reflection on how to solve professional problems. Critical awareness. Reflection on established thoughts, feelings, or actions that have been called into question. Level 1. Teachers are aware that they possess up-to-date knowledge and can help other teachers through initiatives such as mentoring, providing on-site teacher training workshops, and expert coaching with colleagues in other levels. They can also develop field notes—narratives of classroom success stories that they share with other teachers for feedback and development. Level 2. Teachers possess updated knowledge, but are not aware that they do. Those in this category can be involved in mirroring and collaborative coaching by having colleagues come into their classrooms and observe them in order to pinpoint areas of strength. Field notes can serve as a powerful reflection tool for these teachers as well. Level 3: Teachers are aware of their development needs in specific knowledge areas. Pertinent techniques for this level include engaging in action research, establishing critical development teams, and maintaining dialogue journals. Level 4: Teachers are unaware of their need to expand their knowledge in certain areas. Appropriate professional development programs for such teachers could include mandated in-house training workshops, mentoring, and expert coaching. Content knowledge. An interest in the subject matter. General pedagogical knowledge. An interest in pedagogy. Contextual knowledge. An interest in students and their communities. In the course of their work, teachers develop a specific kind of knowledge that differentiates them from subject specialists, pedagogues, or social workers. Grossman (1990) characterizes this kind of knowledge as understanding the purpose for teaching the subject matter, positioning the discipline within the broader school curriculum, and using instructional strategies appropriate for the specific learners and setting. Grossman calls this kind of knowledge “pedagogical content knowledge.” All teachers will have moments in their careers when they must focus on increasing their pedagogical content knowledge. The Teacher's Choice Framework allows teachers with expertise in a certain domain to provide mediation and scaffolding to colleagues whose weaknesses lie in that same area. Teachers enter a cycle of constant development, since teachers can have different awareness levels for different types of knowledge. A teacher well versed in developing a classroom climate conducive to learning, for example, may pair up with one who has classroom management problems—and who in turn might share his or her differentiated instruction expertise with the other teacher. By capitalizing on the internal strengths of its members, the learning community is enriched. 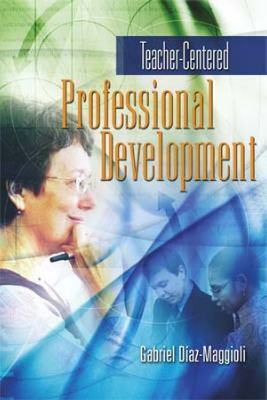 The Teacher's Choice Framework allows teachers to feel reassured about their dual roles as both experts and novices, and “to move along a continuum ranging from inductee to master teacher where increased responsibilities, qualifications, professional development, and performance-based accountability requirements are commensurate with compensation” (Wenglinsky, 2000).